In 2015, Durham’s local affiliate of the North Carolina Association of Educators/National Education Association (NCAE/NEA), the DAE, had a leadership transition. The majority of the new leaders were either elected or appointed based on a commitment to the following platform. Over the course of the last three school years, we have achieved many of the objectives described in our platform, from a campaign to win a raise for Classified Staff to our efforts to stop the deportation of one of our students, and from winning coverage pay for extra-duty work to helping de-privatize the district’s custodial services. We’ve engaged with the staff and leadership at every school in the district, are in regular communication with leaders in at least half of DPS schools, and have built positive working relationships with the School Board and central administration. As a result of the success of our work, NEA leaders from Milwaukee invited our local to send a team to participate in their Community Schools Institute, a five-day training in May of 2017. In consultation with the leaders of the institute, DAE’s leadership invited a veteran elementary school teacher beginning her PhD program at UNC Chapel Hill who planned to research and write about Community Schools, and a teacher and principal each from Club Blvd and Eastway Elementary Schools. Each principal was a member of DAE, and each school had high levels of staff participation in our campaigns, so it was reasonable to think that we’d have more success in engaging these communities in a conversation about this model than others. If it turned out that the model wasn’t a good fit, we could at least consider it high-level professional development and quality team building. Our team was excited and came back to Durham ready to get to work. Upon returning, our team got to work in a few key areas: building level organizing, infrastructure building, and engaging with Durham’s decision makers. At Club Blvd, the work proceeded quickly. The educator and principal who attended organized a series of discussions and workshops at the school before the year was even over. To gauge interest, they held a referendum, and 94% of the staff said that they wanted to take up this initiative. With this mandate, the staff went to work. They restructured the school’s decision-making bodies to emphasize shared leadership. They engaged with community partners to bring in fresh food for weekly distribution and installed a washing machine/dryer to ensure that students have clean clothes available. The PTA raised $5000 to begin the needs and assets assessment and move the process forward while we worked to secure funding for a full-time Community Schools Coordinator. At Eastway, the project has moved forward at a slower pace because, simultaneous to the beginning of our Community Schools initiative, the district applied for a federal School Improvement Grant for the school. Those grants, while adding much-needed resources to a school community, include the engagement of teams of outside experts in a way that doesn’t allow for the kind of inside-out and bottom-up transformation of a school that the Community Schools model relies on. Eastway remains in the Community Schools conversation, but we are moving slower and trying to figure out the best path forward together. Beyond the buildings, this project requires the construction of a coalition of supporters and partners in order to make it successful. Upon returning from Milwaukee, our team invited educator and parent leaders from Club Blvd and Eastway to help us build a core team along with other DAE leaders committed to this project, members of the Durham People’s Alliance’s education team, and a leader from Parents of African-American Children (PAAC)/the Durham Committee on the Affairs of Black People. DAE had worked with the invited individuals over a period of 3-10 years, and we felt confident that they could help guide this project. That team – we call it the “core leadership team” – has met every month to make decisions and offer guidance, and has since expanded to include leaders from 4 other schools, the North Carolina Justice Center, an individual with expertise in developing race equity programming in schools and school districts, and parent/union leaders from an emerging Language Justice workteam. Finally, we built a strong relationship with a staff person that the National Education Association (DAE’s parent organization) hired to lead this work, Kyle Serette. Our team brought Kyle down for a few days of workshops last summer, and he led discussions with both core team members and 5 out of 7 School Board members. All of the Board members that were able to attend left excited and ready to think about next steps. The 2017-18 school year began with a great deal of uncertainty for the project. We had one school moving quickly, another stalled, major leadership transitions at DPS, and a lack of funding for Community School Coordinators at the building level. The next step wasn’t obvious. Adding to the challenges, the state identified 6 (and then narrowed it to 2) DPS schools for potential takeover by the Innovative School District. The ISD, if successful, would take a school away from Durham, hand it to a charter, and further the dismantling of our system. Lakewood and Glenn Elementary Schools were being targeted for takeover. In 3-4 weeks, DAE was able to mobilize thousands of people to take actions against the takeover, and both schools were removed from the potential list. During this campaign, and in its wake, the question emerged: if not the ISD, then what do these schools need to turn around? Employing the “defend and transform” framework allowed us to argue that just stopping the takeover wasn’t enough. These schools needed to be transformed, and a fight to save them, alone, was not going to accomplish that task. Board members approached us to discuss the applicability of the model to these schools, and the conversation about Community Schools reemerged as a model for transformation. Meanwhile, Kyle and the NEA staff were working to find resources to fund Community Schools work in locals that they assessed could be successful. 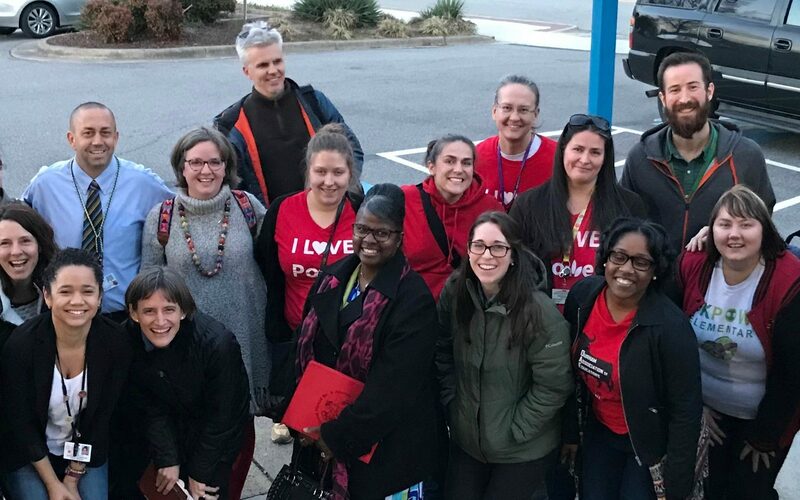 Durham was invited to join in a grant with several locals from around the country based on our strong track record of organizing and winning campaigns and support for our work in the school district. The NEA agreed to fund an organizer to organize buildings, work with officials and allies in DPS and other parts of the community, and help us get this initiative off the ground. Because a transformation towards an inclusive school leadership model is a significant shift, we needed Principal buy-in first. The DAE President met with each of them prior to Winter Break to discuss the model and a proposed process for exploring the initiative with staff. Each were asked to read lengthy research reports over the break and let us know if they were interested in moving forward upon returning. All 5 said yes. 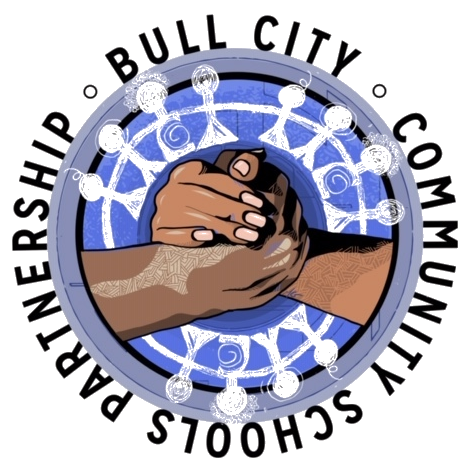 The work has not moved forward at Brogden for a variety of reasons, but each of the 4 other schools has now joined Club Blvd in looking for support for this initiative. Now that we have identified school communities that want to participate, we are working together to find support and funding for Community School Coordinators at each site. The School Board has already passed a resolution in support of the initiative, and our initial meetings with City, County, and Duke University staff/officials have all been positive. We will spend the rest of the Spring engaged in conversations with each of these entities, in addition to exploring possible foundation funding, to acquire money to hire full-time building-level coordinators. Lost in the conversation about the funding for the coordinators is the entire 6 strategy framework. People tend to boil Community Schools down to one bullet point: wrap around services. We, like so many others, are drawn to this model because it not only focuses on meeting students’ needs beyond the curriculum, but argues that meeting these needs is actually a key factor in students’ academic success. The solutions that other schools have employed to meet their students’ needs past academics is inspiring. Each of the strategies, however, is essential to the success of our students. None of them will be easy to achieve. At its core, this project is really about school communities believing in themselves, committing to solve problems rather than complaining, and harnessing the resources in and around them to improve the lives of students, families, educators, and communities. No one is coming to save us, and the charter movement and privatization are not the answer. We need to find one another, commit to solving problems together, and engage our whole community in generating the solutions that our students deserve. If we’re in this together, we can accomplish anything.